It time for a brand new challenge over at the Challenge Me Happy blog and Annelie has found another very cool photo as this week's inspiration. This is the inspiration photo. Pretty cool huh? Look how young K looks in that picture! 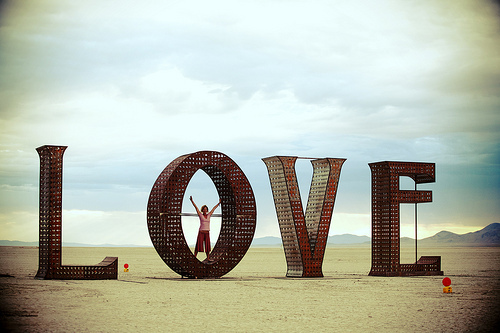 Anyway, I loved the size and texture of the word LOVE and went from there for my inspiration. 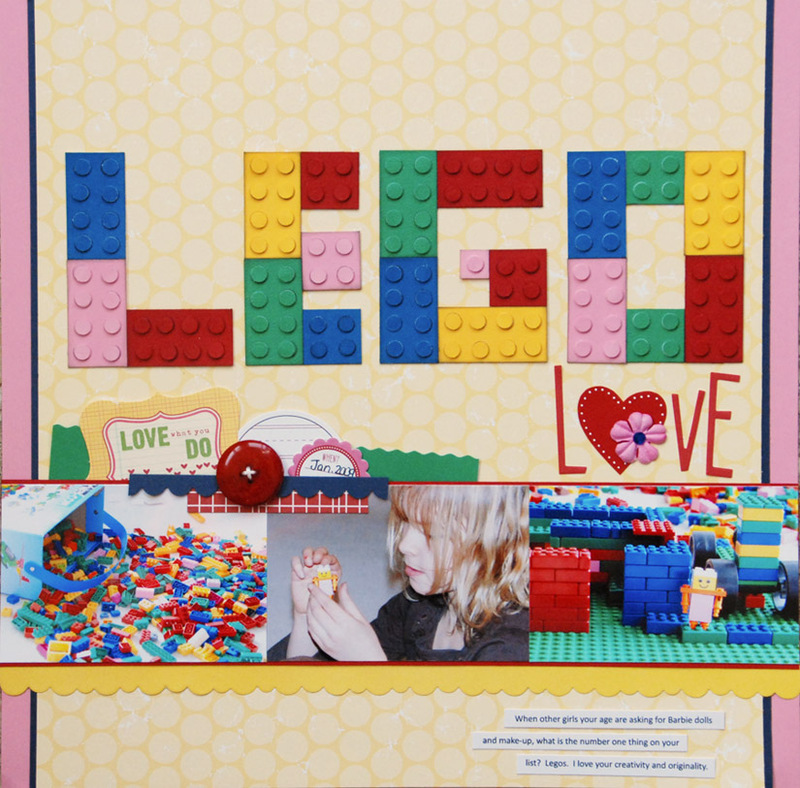 I created the Lego blocks by cutting a rectangle out of cardstock and then punching circles out of the same cardstock. I layered 4 circles on each connector to give it dimension. We would love to have you join us for this week's challenge. You have until November 29th to create a project based on the photo and link it up on the Challenge Me Happy blog. 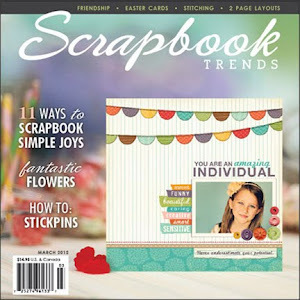 You could win an awesome kit from Molly's Scrapbooking! Good luck! Can't wait to see what you all come up with! So clever! Love your page! OMGosh, this is SO cool, Lisa! 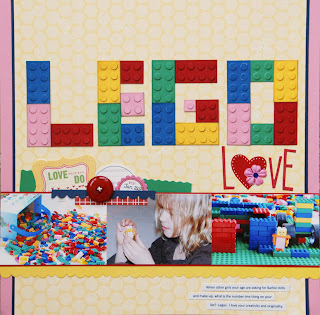 Love, love your page design here with the photos that span the page, and LOVE your title work with the Lego blocks! The punched circles you added REALLY make them look like real Legos. LOVE this! Very cool take on the photo Lisa!! Love the bright happy title and photos!! This is so much fun! Love the Lego theme!! what a fun layout. I love the inspiration photo. that is one inspiring photo and i really love your take on it!